The folding suspension scooter provides driving comfort due to its rear suspension, There is a one hand quick release mechanism to allow it to be quickly and easily dismantled. Can be used on all types of terrains. Maximum range of 13 miles. Maximum user weight of 19 st, Available in two colour options, either aqua or orange. The Folding Suspension Scooter features a tight turning circle making manoeuvers easy. This scooter is fitted with larger than standard silver alloy wheels. Wheels measure 9.5" (with puncture proof tyres) which helps cover more ground clearance. 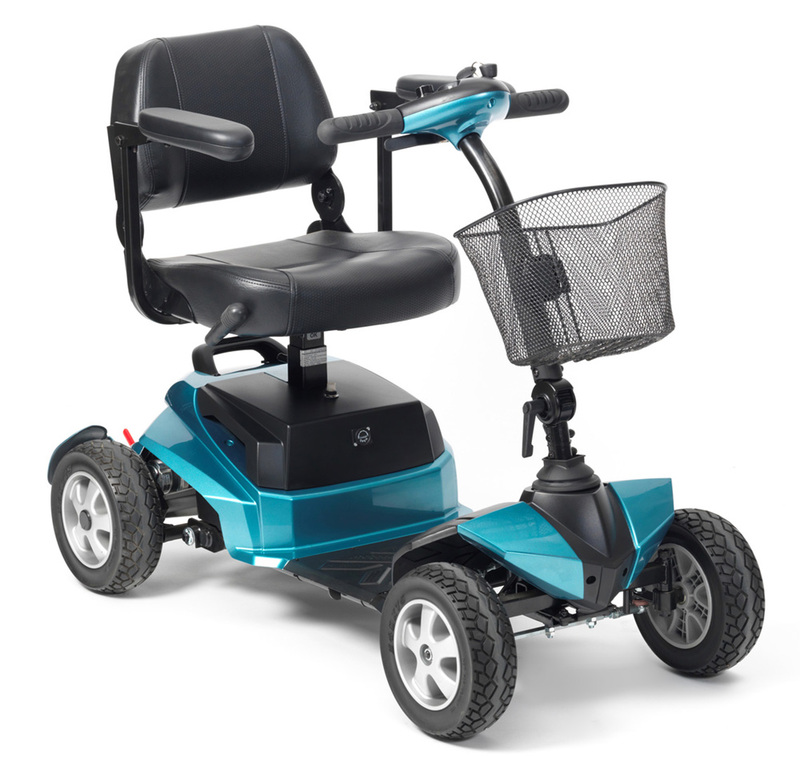 Maximum speed of 4mph and maximum range of 13 miles on a full charge. Theres one handed quick release for easy dismantling when transporting or storing away. Rear suspension for more comfort and theres also a removable battery pack with a carry handle and locking mechanism. The scooter seat is height adjustable and lightweight, also rotates 360 degree for an easier transfer on and off the scooter. Removable basket and rear anti tip wheels.